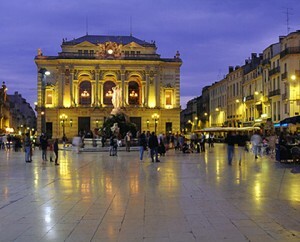 If you area tippler you have a plethora of quality options in and around Montpellier. There are many more possibilities in the libations department here now than there were even 5 years ago. If beer is your preferred poison and it takes more than the mere Heineken or standard Kronenburg to satisfy your thirst then you should be delighted that there are a greater number of establishments offering a more varied selection. Until very recently there have been very few places offering more than the standard selection of industrial beers. Even the ‘Anglo’ bars employed zero imagination when sourcing. The only really exotic things about their drinks were the prices and having an Anglophone serve it to you in a pint glass. Nothing wrong with liking a Guinness but there is more to a drinking life. Now a lot of the Anglo pubs in town offer an interesting mix off bottled brews including ales, ciders and bitters. The ‘bee hive’ and ‘The Egg’ at place (St. Roche) and the ‘Robin Hood’ (near the car park/parking lot Laissac) jump to mind as good examples. Within the French/Belgian offer it is good to see more and more local cafés and bars diversifying their menus with things like Trappist Belgian beers and local micro brews like the Brasserie d’Oc from Mèze. The ultimate rendez vous for beer lovers has to be ‘Les Couleurs de Bières’ opposite the entrance to ‘Stade Philippidès’. Francis, the owner, has over 500 different varieties of beer and it is difficult to find anything common stocked on his shelves. You can have a beer there or take away as much as you like. Just be careful to put what you buy in a bag or box because under an oppressive new municipal law police are fining people for walking around with bottles of alcoholic drinks even if the bottle is sealed. It is astonishing to think that in 2002 there were no wine bars whatsoever in Montpellier. I challenge anyone to disagree. They are now virtually uncountable and this is as it should be in a region which produces such a quantity and variety of wine and in a city with a young sociable population with disposable income. It is hard to miss with a wine bar here. There are an incredible number of labels and distinct types of wine that we can call local in the Languedoc. Heavy reds predominate with the increasingly famous Pic St. Loup and Minervois tending to be on the more suave higher end. The majority of the Muscat production is also from this region. Rivsaltes and Frontingnan are the most well known but the Muscats of neighbouring Lunel are increasingly present on local menus. Still in the sweet white ‘aperitif’ department many quite enjoy the lighter and less syrupy Tariquet from the South West. The natural sweet reds like Banyuls and Maurie from the Catalan coastal area around Perpignan deserve to be better known, if for nothing else than, for their wonderful “chemical marriage” with chocolate. Indeed, any chocoholic that has not tried pairing Banyuls and their favourite dark chocolate has yet to experience the highest plane of their indulgence. Strangely you don’t see Banyuls on the drinks menu very often but a decent wine bar will usually have some stashed away somewhere if you dare to ask. The region does not make a lot of white wine apart from Picpoul de Pinet for shell fish (particularly raw oysters from the ‘Etang de Thau’). That should not stop you from trying some of the regional dry dinner whites that tend to have a mineral taste. There is a lot of Rosé here too. They are popular on terraces during the summer heat and come in several hues from light pink to deep ruby. The highest concentration of wine bars is around place St. Roche. ‘Times’, ‘Mi Barrio’ and ‘Le comptoire’ have become the references in that area but several new ones have opened including ‘Red Café’ which is Occitan themed and have original, local inspired, gourmet tapas. There has also been a recent flowering of wine bars in the Marché des flueres area including ‘Baron Rouge’ and ‘Madames et Monsieurs’. The former of which has wines which start at the pricier end but some of the best charcuterie in town and the latter is very spacious for the city center but incredibly lethargic table service. Also of note is the buzzing and ever popular ‘l’esprit vin’ at place chabanot and ‘l’atelier’ for the jet set just off Rue Foche. If you really want to go native you might try some Pastis to slake your thirst in a PMU after an interminable game of petanque. Pastis, in case you are new to the region and have not encountered it elsewhere, is a liquorice flavoured drink that one dilutes with water to give a milky white colour. It is somewhat similar to Grappa or Reki if you might be familiar with those Mediterranean rivals. I should add that if you order Pastis you will be forced to make a decision which will determine how other pastis users view you for the rest of your life and it is surprisingly not the amount of water you use to dilute your tipple. ‘51’ or ‘Ricard’? you will be asked, and with that the die is cast. What to choose I leave to you. Another popular local tic in the poor man’s cafés is to have your demi of beer spiked with a dash of Picon which is a orange and malt flavoured liqueur made especially for giving beer a little whiff of the devil. Real whiskey is available in shops here at a significantly reduced price from what you will find in the U.K or North America. Oddly, the opposite is true for a glass in restaurants in bars. For drinking out you would be better off having a Cognac or its more local cousin Armagnac. If you drink blended whiskey you probably don’t care but for what its worth I’ll tell you to be aware of ‘Clan Campbell’ which, in spite of its traditional looking label, is not sold except in France and Spain and is manufactured in an industrial outskirt of Glasgow. If you are out with friends its worth knowing a quirk of French whiskey consumption is that it is part of the pre not post dinner ritual. I hope your thirsty now. So go out and enjoy some of the towns liquid delights just leave the car at home and enjoy one of the sleek new tramways and try not to fall asleep before your stop.